Android is the most popular operating system for mobile with billions of user base which is growing by leaps and bound. The capabilities, features and flexibility of the platform, the variety of devices that suit every budget, and millions of apps that can help you do anything you can imagine on your smartphone— these are the things that have made it what it is today. But there is another great thing about that infatuates people with the soul of a geek, and that is the Open Source and openness of Android. If you wish to envisage the true color of this beautiful operating system and make the most out of your phone or tablet, you must root it first. Now, rooting is a term that you must be aware of if you own an Android device. Often compared to jail-breaking in iOS sphere, rooting is despised by most Android users and also by OEMs. 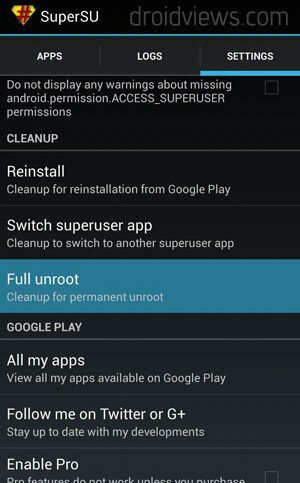 I often wonder why the Google Play Store has those thousands of apps that require root permission, if rooting is considered so punishable an offense that it voids the warranty of the device! Being able to run the software one wants on devices one owns without losing hardware warranty should be a right by law. Root by itself is not a crime, nor a pointer that a device is broken in any way that should not fall under warranty. But in the eyes of the OEMs it seems we are criminals. 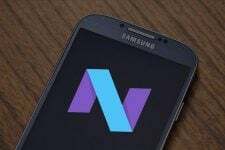 One of the reasons for the popularity of Samsung devices over those by other OEMs is the very fact that they are easier to root and modify. We have no problem if we lose hands off the warranty of the device in case we flash a custom ROM but rooting is so essential a thing for Android that makes our mobile experience better. It complements and expurgates the deficiencies or the OS. The greatest reason why most people keep away from the rooting stuff is the loss of warranty and the fear of bricking the device, the former also being the most probable reason for the desire to unroot an Android device. If you have a rooted Samsung Galaxy S4 and want to take your phone to the state of an unrooted device so that you might reclaim the warranty, we have a little guide for you. In fact the steps described here can be used on any Galaxy device from Samsung to unroot it. The easiest way to unroot your Samsung Galaxy S4 is to install the official firmware and reset the flash counter to “0” (zero). 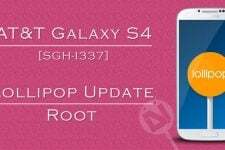 The following tutorial can be used to unroot any variant of the Galaxy S4, irrespective of model. Just careful about picking the correct firmware for your device model. You can check it from Settings> More tab> About. Enable USB Debugging on your phone. If you do not know how to do it, read this tutorial. Ensure more than 60% battery on your Galaxy S4. 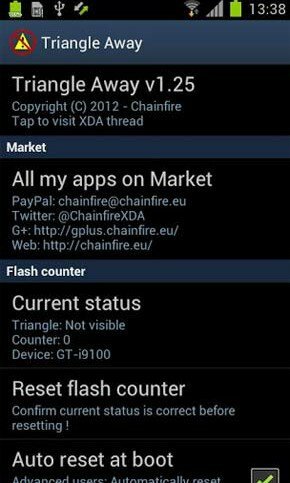 Open the app drawer and run Triangle Away and follow the on-screen instructions to reset the flash binary counter to zero. Triangle away is capable of making your phone system think that it is not rooted, despite the fact it is rooted. Thus you are able to claim warranty. You can also unroot your device from within the SuperSU app itself. Open the app, tap on Settings and scroll down to the Full Unroot option and select it. If you want to completely unroot your Galaxy phone, install the stock firmware on it using Odin. But before you do that, download the appropriate firmware for your Galaxy S4, boot the phone into Download Mode. To do this, press and hold Volume Down+Center+Power buttons together for 3-5 seconds till you see a warning screen. Now press Volume Up to continue to the Download mode. Now open Odin folder, launch the program by double-clicking and then connect the phone to PC using USB cable. Wait till the device drivers are installed and Odin detects the phone which is indicated by the ID:COM port turning to Blue and “Added! !” at the message box on Odin. Make sure that only “Auto Reboot” and “F Reset Time” options are selected. Now click on PDA and select the firmware file with .tar.md5 extension. Finally, hit Start button and wait till installation is complete and you see “PASS! !” signal followed by automatic reboot of the device. The phone will finally boot and it will be unrooted. Pull out the battery, wait for about 30 seconds and put the battery to its place again. Now boot the device into Stock Recovery mode: hold down Volume Up+Center+Power keys till the screen turns up and the Samsung logo blinks for two times. Then release the Power button but keep other keys pressed till you see a blue menu. Here you’ll have to use the volume and power keys to scroll up/down and select options respectively. Go to “wipe data/factory reset” option and wipe it. The bootloop should be fixed now. In case the device still doesn’t boot, install the firmware again. For more stuff and tutorials on Samsung Galaxy S4, click here. Hie there, i got my galaxy s4 (GT-19500LUCNC4) that keeps turning off on its own so i have tried factory reset but the problem still persist. The firmware i cant find it, can u help me? my phone came from u.a.e . . can i downlod the firmware of any country? hi can someone please give me the stock recovery for a SGH-i3337m Canada version? Hi, I didn’t find the recovery file for the device. Why don’t you flash the firmware file itself? Hi, I can not find the file for the phone I have, it’s a Canada model I337MVLUAMG1 4.2.2 I’ve been trying to unroot for a while now as my phone will not connect with a PC through USB cable and I would like to update to 4.4.2. I bought the phone rooted. Your device must be carrier-branded then. Can you tell me the carrier’s name? Just install it to unroot and update your device. Yes it’s Telus carier. Thank you for the quck reply. hi and hello admin greeting from malaysia. my phone galaxy s 4 GT-I9500 auto updated to 4.4.2 and its official update. all things are good but just annoying status icon bar cos a just white icon and there is a lot running application, i don’t want that so i want to downgrade my phone .. please help me. still got 6 month samsung warranty..not rooted phone. Will this work with Build MK2? Yes, but you will have to Install MK2 or greater version. Downgrading might brick your phone. Can you help me finding the right place? What is the current build version of your phone? My phone is currently on MDL version, the same on the links you posted. Thank you. It works for me. Now I have an “new” GS4 whit no signs of void warranty. Yes, it will restore your phone like it was when bought. In fact rot resides in the Kernel but we recommend installing the firmware. and in download it shows write protected enable im using (mf3) sgh i337 what to do i have mf3 version and not it is rooted i want to un root but it didinot flash what to do???? You are getting the error because AT&T has disabled downgrading on MF3. OH THEN WHATS THE SOLUTION ? Just wait till a new update comes up. Any help please… phone never been rooted before.. i was just in a rush to have the offical 4.3 version. Im in U.K and im not very good with this rooting, process, but Im eager to learn.. i’ve spent many hours researching but can’t find a fix. HELP PLEASE – thank you. Which version of Odin did you use? thanks for the link, however, I don’t think the issue to be with Odin but the the transfer process… do you know, or ever herd if the model gt-i9505 after being unlocked can crash while installing a stock rom? also, i tried using Kies to do firmware emergency recovery, but this also failed, in the process where kies was attempting to download the rom onto my phone. I am extremely desperate. I’ve been without my phone for 1 week now. Any extra advise or tips you or anyone else can give me? Give it a try at least and use a regular Windows machine instead of VM. Unlocking does not hinder with installing an official firmware. I doubt it is a case of corrupt bootloader instead. Try odin 1.85 and let me know. I do have a regular windows to test and I’ve done tried before (not with the Odin u just gave me), however it also failed to install the stock Rom, both 4.3 and the carried one. I’ll create a youtube video and show you the process that I am facing, i hope the new odin will work, but my hopes aren’t high 🙁 Can I past the youtube link here once I’ve done it? hi, maybe i tried installing the wrong stock rom firmware. Can you advise which one should i download? my model is the GT-I9505 im in UK and the original carrier was EE, but the phone is now unlocked. copy and paste the firmware name in your comment. ps: can I still send the phone to samsung in case i can’t fix it? I only got the phone about 6 months, is the 1 year warranty is still valid? Did you try to install the firmware with PIT file? Do not giveup yet! No I can’t give up!! & i don’t want to give up – No didn’t use the PIT file, because its usually the PDA file that it prompts me to add in the instructions to install a stock room. I am doing it wrongly?? Ps: i must confess, i am a beginner when it comes to this stuff Rakesh. Just try that tutorial. I think It would fix your problem. Do you remember enabling USB Debugging before to started the procedure? Also, your system status says official and that means the warranty is not void. good to know that the warranty is not voided. I guess USB Debugging might be a reason behind the failure. is there a cure at this point if that’s the case? how to cure it? You can contact a person with Samung Anyway Jig box. Does your firmware has EVR in its name? Give me the name of the Zip instead. It must have a CSC code in it. i got it from samMobile – stupidly I have deleted the zip file because I was running out of space on my Vmachine. Then give me the extracted folder name.
! NOT OPERATIONAL ON THE GT-I9500 ! 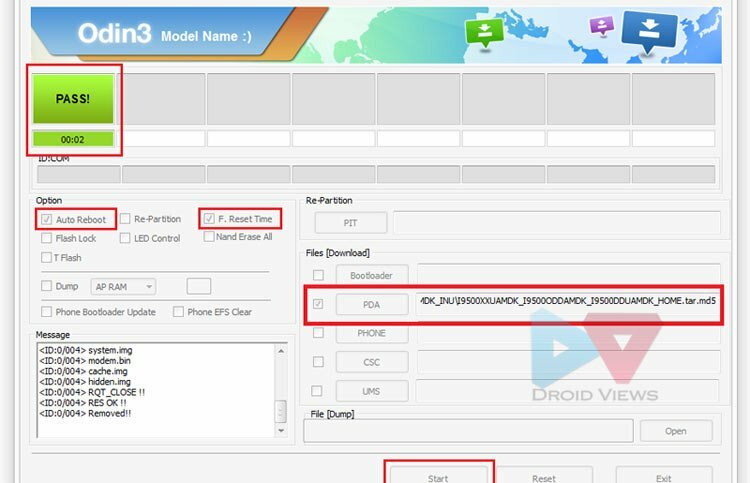 Traingle away app is incompatible with GT-I9500 model of Galaxy S4, it is only working on Qualcomm based models and not on Exynos based models. Install a new firmware, it should be fixed. Ok i had my phone rooted then I unroot it with the Odin method n stock firmware. But there’s a problem when I wipe cache in stock recovery. my phone automatically reboot. Why is that.? I’m thinking rooting my phone again to try that new wicked rom on the m919. What’s the successful step to flash everything all over with the root again? I’m worried having problem with my clockwork because last time I try to root my super binary fail 🙁 . Dat why i unroot it first of all n now wipe cache crash on stock. Whattttt do I do!? In that case copy the SuperSU zip file provided in the post to your phone and then flash it using CWM recovery mode. Since I had already rooted my phone with older method, I did not try the new CWM recovery by Cofface. Hello, I am stuck in a boot loop. I tried to do a wipe but I get an error and then it goes back to boot loop. Any help would be great. Try flashing the firmware again. finally got it working. I think I was flashing the wrong firmware. I am restoring my phone from this site. thanks for the great work! I doubted that too. Btw, can you share why did you unroot your device so early? after getting my phone stuck in a boot loop (i just got the S4 Yesterday) i will wait until the phone has been out for a while longer. the only reason i used the root was to take advantage of directory bind to free up memory. I will probably root again later, after the warranty has expired. Wait for a year to root again?